After being in the auto shipping industry for a bit over ten years we can tell which are the two top sedans being shipped more often. In first place we have the Honda Accord and right behind it we have the Toyota Corolla. It is no surprise to see these two models being shipped more often than others as they are probably among the top selling cars in the United States too. The Honda Accord and Toyota Corolla are cars with low maintenance, gas savers and look great. It is a no brainer why their owners opt to use auto shipping rather than driving their car cross country. It is not only the consumers who chose these models over the rest, the auto shipping carriers prefer the Honda Accords and Toyota Corollas too. The compact size and light weight make these models the ideal candidates to fill up their trailer. 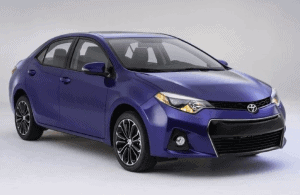 Auto shipping companies are delighted when a customer says Corolla or Accord, because they know those vehicles are much easier to ship. Can you imagine hearing Ford F-350? Ouch! Those big boys are a bear to ship. In the car shipping industry, less is more. The smaller cars often go first!